Although Winter is still upon us, the days are gradually getting warmer and brighter as we look toward the coming of Spring. Not only does this season bring sunny days, but also a very special holiday for couples around the world. That's right - Valentine's Day! This year, February 14th fell on a Sunday, so many people were able to spend time at home with their loved ones. 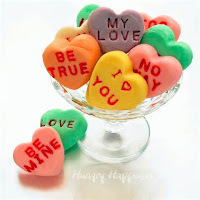 Did you do anything special on Valentine's Day this year? In Japan, I've noticed that making and giving chocolate seems to be the most popular activity. Especially for young women, it is a chance to show love and appreciation for the important men in their life. Not only couples, but also coworkers and friends share good feelings on this day. In the United States, where I am originally from, we have very different customs for celebrating this romantic holiday. For example, it is usually a special day for couples (married or dating). Men and women, young or old, look forward to this day each year. Here are some of the popular activities American couples do on Valentine's Day. Many couples make the evening particularly special by going on a date together. They may make reservations at a nice restaurant, then go to see a movie. Some couples enjoy playing sports together, or simply want to relax at home with snacks and a movie. How would you like to spend a romantic evening with your special someone? Although Valentine's Day is usually for couples, children also enjoy exchanging candy and messages with their friends at school. Valentine's Cards with popular characters are passed around the classroom, while teachers often bring plenty of chocolate or sweets for everyone to share. Anyway, I hope you enjoyed the holiday this year, and let's look forward to White Day in March! 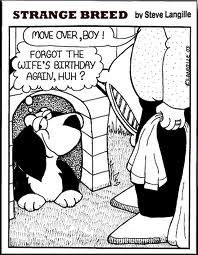 *"You'll end up in the doghouse" - This expression is used when a wife is so angry at her husband that she doesn't make him feel welcome in their home. He might as well be sleeping in the dog's house outside.